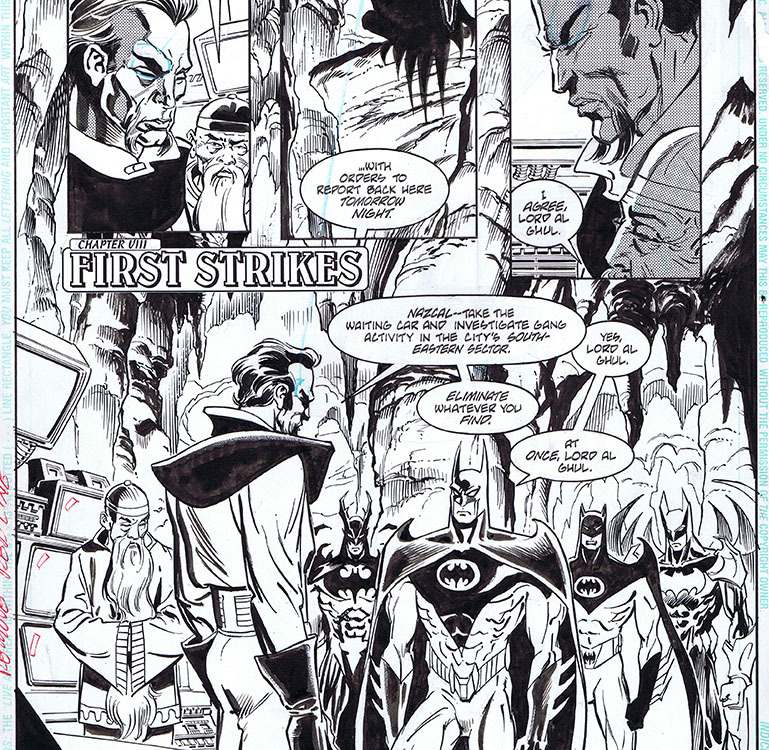 As a long time Batman fan, seeing the originals that Bret has on hand is an extreme treat! From that moment forward I decided that it was high time Bret Blevins’ web presence went somewhere beyond Wikipedia and a Facebook page. Growing up with comics, graphic novels, and a love for Sci-Fi I knew that fans would love to get an insider’s view of the work Bret does. And believe me, his work isn’t confined to just the comic strip or story boards. I’ve been to several shows in town to see Bret’s incredible fine art. He’s definitely got something, and it’s something that appeals to a wide range of people. Family and friends alike are pretty much in awe that I’m getting to work with Bret on his new site. And the work won’t stop here. Our future goal is simple. 3 separate sites to really focus on Bret’s work and interests. The site you see today won’t be around all that long. It’s a place holder to start getting the work out there. But soon it will morph into something different as we build. With luck, you won’t see any more posts from me here. Instead you’ll start seeing Bret’s posts, and I’ll just be the guy in the background making sure your visiting experience is everything it can be. Thanks for stopping by the site. Be sure to subscribe to the feed, and check back often. Things will be moving along quickly here.